The Nammatj and its extended vestibule version, the Nammatj GT, are the best choice for any outing in any condition where low weight is of equal importance to strength, reliability, and roominess. 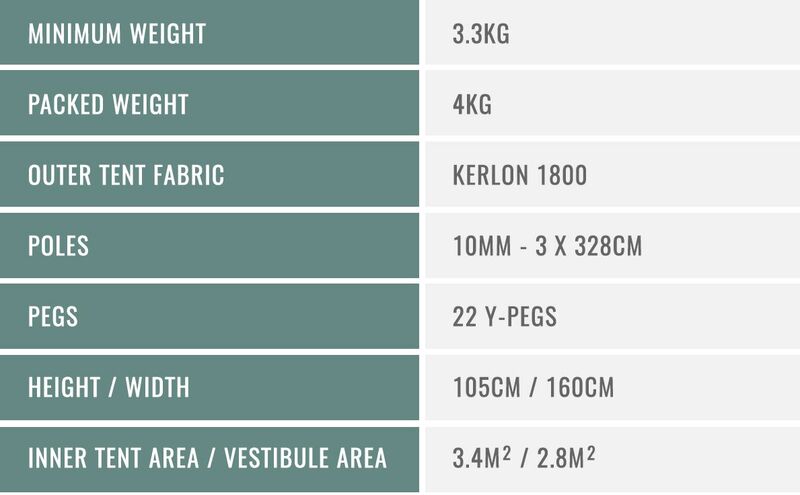 Made with Kerlon 1800 outer tent fabric and employing 10 mm poles, these tunnel tents are equal in strength and stability to the Keron models, but are impressively light in weight. They are exceptional choices for all season use in exposed and/or above tree line terrain, or for demanding, extended winter camping trips in extreme conditions. 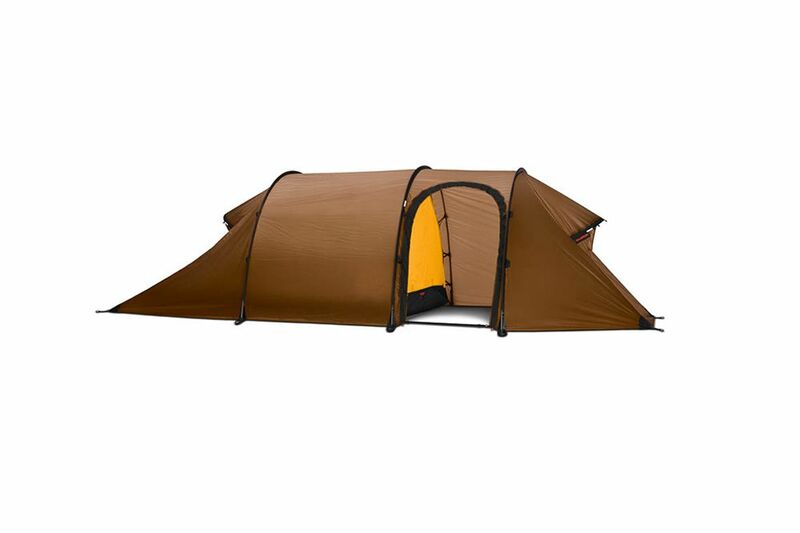 Both the Nammatj and the Nammatj GT models have smaller footprints then their Keron counterpart models, yet they have the same inner tent square footage, and so are excellent for limited-space sites such as narrow ridge lines or ledges. Although geared more for mobile adventures, where you pitch your tent every day, both can be used quite effectively for base camp-oriented trips. This 3 man version is quick and easy to pitch and can be taken down and moved in a flash. 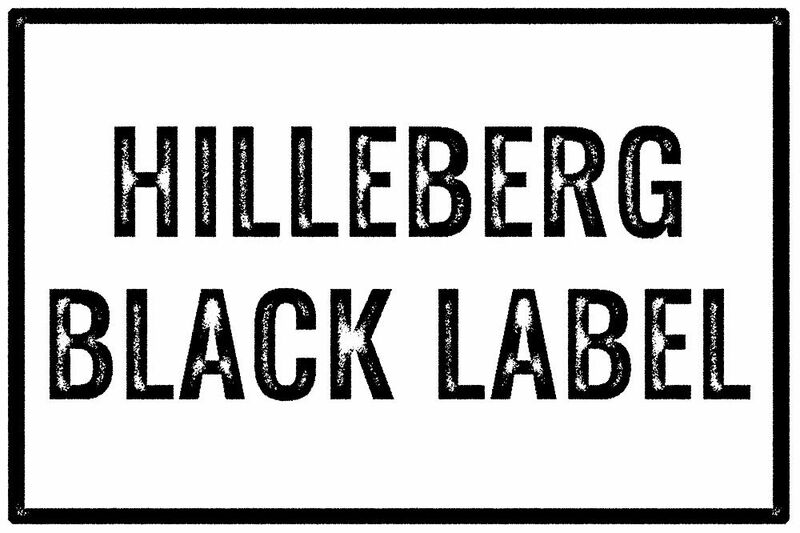 The Hilleberg black label are the tents where reliability, adaptability, ease of use, durability, and comfort are the main components during the development process. These tents have to be able to stand up to what the harshest conditions can throw at them while at the same time being comfortable on fair weather summer days. For these models’ low weight, while still considered of course, has had to take a backseat to accommodate other attributes that are deemed more important. These tents are designed with the some of the toughest materials Hilleberg has to offer, all to make sure that you never have to be woken up in the middle of the night by the sound of your tent being torn up by the storm raging outside. That also means that the longevity of these tents is unrivalled. Black Label tents are the best choice if you want the most comfort and greatest ease of handling, and/or if absolute all season strength is your highest priority – whether you are heading out on an expedition or a family camping trip.